M/Sgt. George W. Tucker, son of Mrs. A. 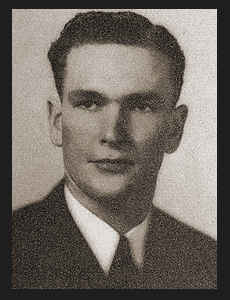 B. Tucker, attended Frederick High School and Tulsa Univ. ; husband of the former Evangean Payne. Entered Air Corps in 1940, trained in Spokane, Wash., Salt Lake City, Utah, Hamilton Field, Cal., Orlando and Sebring, Fla.; served in Alaska, the Marianas, Japan, Trinidad, China and Manchuria; was discharged in Nov., 1945. Awarded Asiatic Pacific Ribbon with two Battle Stars, Am. Theatre Ribbon, Bronze Star, Good Conduct Medal.